Here is the final post in my series of short project overviews from the JISC funded Relationship Management Programme. Last, but definitely not least, the project team at Cardiff Metropolitan University have developed an online learning environment (GradSpace), as part of the DePCEA (Developing a Professional Community Engagement Environment for Alumni) project, for supporting the development of graduate employability skills, assisting alumni in their transition to work and encouraging lifelong learning and professional development. 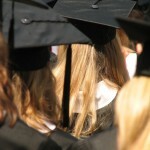 students expect their time at university to prepare them for employment. improved loyalty as graduates feel that the University still wants to help them once they’ve left. ensuring that any learning resources and materials are selected carefully; for example the project team found that practical resources were most valued. Video: Developing a Professional Community Engagement Environment for Alumni. This entry was posted in relationship management, SLRM and tagged alumni_engagement, SLRM. Bookmark the permalink.